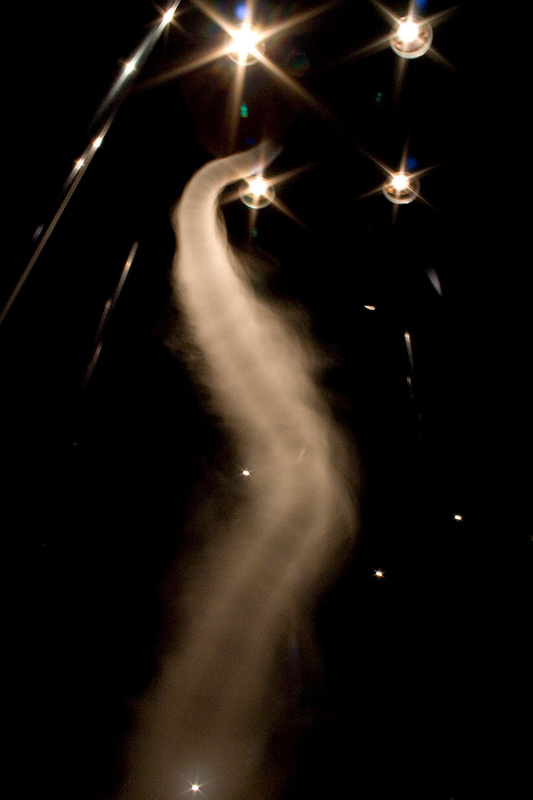 A 10-foot tall vortex is formed by air blowers and an ultrasonic fog machine inside a sculpture installed in the atrium adjacent to the Winter Garden. 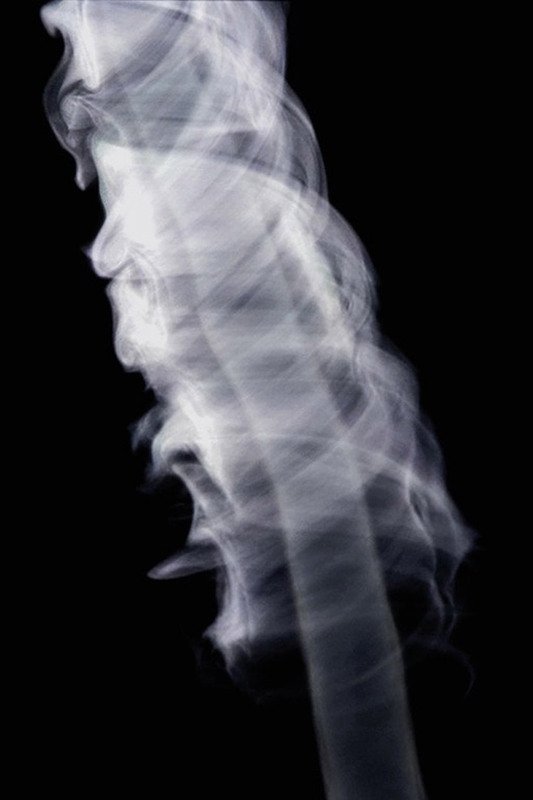 The vortex continually changed shape in response to the surrounding air currents.These fluctuations gave the vortex an erratic and life-like appearance. 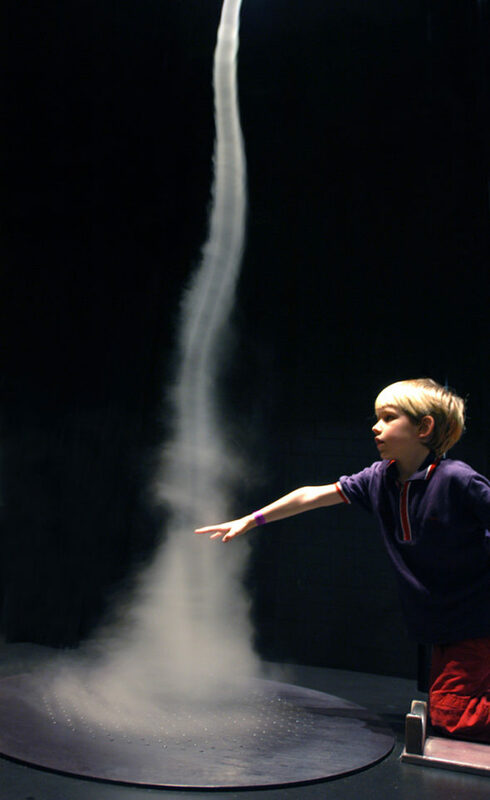 Viewers were encouraged to alter the shape of the vortex with their hands. The calm, central core of the vortex is clearly evident (1990).